Product prices and availability are accurate as of 2019-04-16 01:23:52 UTC and are subject to change. Any price and availability information displayed on http://www.amazon.com/ at the time of purchase will apply to the purchase of this product. 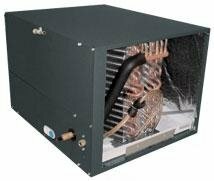 This package unit comes with a Goodman horizontal coil of 24.5 inches and GSX160361 air conditioner. The Goodman air conditioner comes with a cooling capacity of 3 ton, ideal for medium to larger spaces. The chlorine free liquid refrigerant R-410 a keeps your room environment safe as it prevents the ozone layer from any damages. 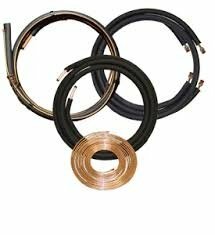 The 16 SEER rating is a highly energy efficiency rating that reduces consumption of energy and also shows significant reduction in your power bills. With this highly effective unit, you are sure to have the comfortable days this summer and many more summer seasons. 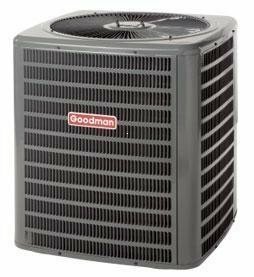 The cabinet of the Goodman 3 ton 16 SEER air conditioner is strongly built of steel material and comes painted in architectural gray paint finish offering superior protection from UV rays and rains. This ensures increase in the life span of the system. The front seam panel provides convenient access to the ports and Sound Control Top design gives you quiet operation while the system is running.